When I read this comment by Kentucky State Representative Ben Waide (do I need to say he’s a Republican?) I just shook my head. I wasn’t the least bit surprised; I wasn’t at all distressed. Scientific ignorance is rampant in some parts of the nation and it runs deep in one political party. So the guy is a dolt when it comes to science. So what? 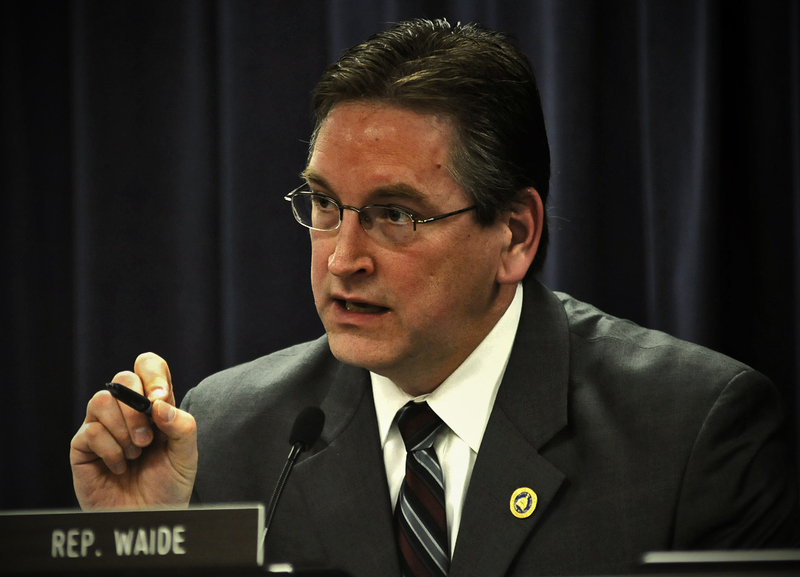 Then I learned Waide is a member of Kentucky’s Joint Committee on Education. This guy is making decisions on education policy. And suddenly he’s not just a dolt when it comes to science — he’s a dolt with the power to create more dolts. And that matters. Never stood up to scientific scrutiny? I doubt that any scientific theory has been more thoroughly challenged and examined than theories of evolution. There is far more scientific support for evolutionary theory than there is for the current theories of gravitation, more solid scientific evidentiary support than there is for atomic theory, more than there is for the theory of general relativity. If Waide believes evolution isn’t science, then the University of Louisville (where he graduated with a B.A. in Health Science) should rescind his degree. They should seize his diploma, burn it, bury the ashes in the ground and salt the earth above it. Darwin made it up, he says. The shallowness of that claim is staggering. His total lack of understanding of science and how science works may not disqualify him from representing his district in Kentucky — his constituents have the absolute right to vote for somebody with that bovine level of intelligence — but you’d think it would be enough to prevent him from shaping education policy. Or misshaping it, as the case may be. I don’t care if Waide personally doesn’t believe in evolution. I don’t care if he’s Kentucky’s version of Madeline Basset (who famously “holds the view that the stars are God’s daisy chain, that rabbits are gnomes in attendance on the Fairy Queen, and that every time a fairy blows its wee nose a baby is born”). But if you believe babies are a result of sinus issues in the wee folk, then you shouldn’t be shaping birth control policies. As an Australian, and thus an outside observer, what worries me is that Waide, and so many like him, are not laughed out of public office. Where did the US education system go so wrong? When? And what can be done to fix it? Ironically, Waide is the final evidence that man descended from apes. Add to the kerfluffle the latest from the great state of Missouri, our representative Akin actually serves on the House Science and Technology Committee and I fear we are doomed!